Airtel recently launched cheap data plans that works only on 2g networks (very slow) but ever since then, i have been battling to find out ways to make it work on 3g network - though it's proving too difficult but i won't relent until i achieve that. I noticed that most of you didn't understand the last tutorial i published on how to use airtel 2g network data plan on 3g network as it requires rooting and some script changing which might not be easy for everyone. Besides, even if it's done properly, there are phones that will still refuse to connect on 3g network so i decided to bring another option which is very easy and simpler than the previous one. Unlike the previous tutorial, this time around, it is not compulsory that your device must be rooted and you don't need to be a guru before you can apply this method. 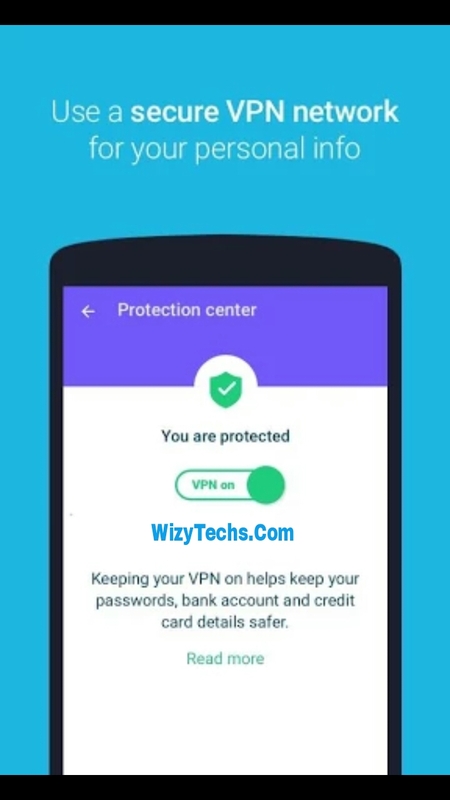 It only requires one app which also acts as VPN and the app is called "Protect free VPN + data manager"
=> Get the most from your phone! How Can I Use Airtel 2G Data On 3G Network Via Protect VPN? => Finally, start browsing and feel the difference. After applying the above simple trick with Protect VPN, i was able to use the airtel 2g data plans of #200 for 2gb and #500 for 6gb on 3g network BUT the 3g connection is not stable. Whenever it connects to 3g network, it will start fluctuating just like Etisalat social with VPN apps. Like i said earlier, am still tweaking and trying better ways to do it and hopefully, it will arrive soon. So try this on your phone and let us know how it worked on yours. If it works, let us know and if it didn't work, also comment on the comments box so that others will learn from your experience. Yes Sir Mike, the previous method works but some people are still finding it difficult to use maybe because the settings are somehow advanced. No! Bro don't try it. It will automatically cancel your 3gb BIS plan and revert you to 2g network. Wizzy, u dnt need to tell us that you're trying to make us affordable or free browsing nah. We already no that. May God bless you. Have visited a lot of blog, but you're the only person who his trying so hard to see that this thing work. Keep it up, Allah we continue to give u that wisdom. Wizy pls the airtel 1gb for weekend is it frm saturday moni till sunday evening bcus i dnt undastand. this plan is so horrible i havent been able to use my bis again because of it stupid airtel...this protect vpn works on 2g really slow and redirects me to airtel one touch home page when i put it on 3g, wizy which way out? Bro plz post some browsing trick for India Here in India Airtel has limit its stopped wrking aftet 250 MB on any host here tcp tricks and psiphon tricks were wrking but stopped after 250 MB plz help us bro make it unlimited tell me some other tweaks coz i have host of some other networks they open in browser on zero airtime and data but not wrking with any vpn app nor any proxy nor any handler with those host. help me plzz sir . u can contact me through email. firemud5@gmail.com or facebook fb.me/abdulhameed.mirzapur or whatsapp +919935820453 plzz give me some reply sir. i'm expectiing for ur reply dont ignore plz. thank you.